The Sun, Mercury and Venus will transit Scorpio, your 7th House of marriage, legal contracts and professional relationships beginning in early November. As the month begins, The Sun and Venus will join one another in your 7th House, making this a romantic month with memorable events, single or coupled. On 11/7, Mercury will also enter Scorpio and will remain in Scorpio until 11/27. This sets the stage for making tremendous strides where marriage, legal contracts and your love life are involved. With your ruling planet, Venus, in Scorpio, you can be certain that someone special wants to be in your company. You can also count on your business to be an area where great progress occurs and you get the notoriety of higher ups. Venus (Love and Money) begins the month in Scorpio, Taurus. Scorpio is your 7th House of marriage, legal contracts and also deals with hidden forces. You will be fortunate in that it is in these areas that you tend to be popular, well received and will note the extra appreciation directed at you by others. Venus (your planetary ruler) spends the first 16 days of the month in Scorpio. Mercury will also enter Scorpio on 11/8. With the Sun, Mercury and Venus all traveling in Scorpio, this is referred to as a stellium in Astrology. What is a stellium? Basically, having more than two planets in one House brings double the power of both, so imagine what three could bring. Yes, Taurus, this is bound to be a memorable month for you with regards to partnerships, relationships, professional and personal and any legal contracts you might be involved in. On 11/16, Venus enters Sagittarius and your 8th House of power, deeply committed partnerships and personal transformations. The 8th House also deals with death, anything weird and covers such diverse areas like taxes, wills, insurance and inheritances. Once Venus enters Sagittarius, you will benefit most from those areas. 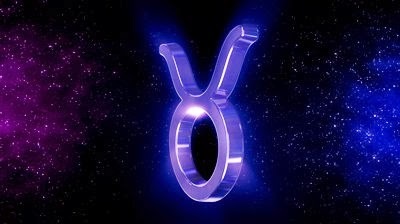 Special to Taurus - October is bound to be a stand out month for you with serious activity occurring in both your 7th and 8th Houses but really it is when dealing with marriage and legal contracts is where you should notice tremendous growth and heavy strides. Relationships will bring a sense of fulfillment and security. If these are missing in anyway, you might decide to initiate any needed changes, so that you can have more security and pleasure from your love relationships, Taurus.